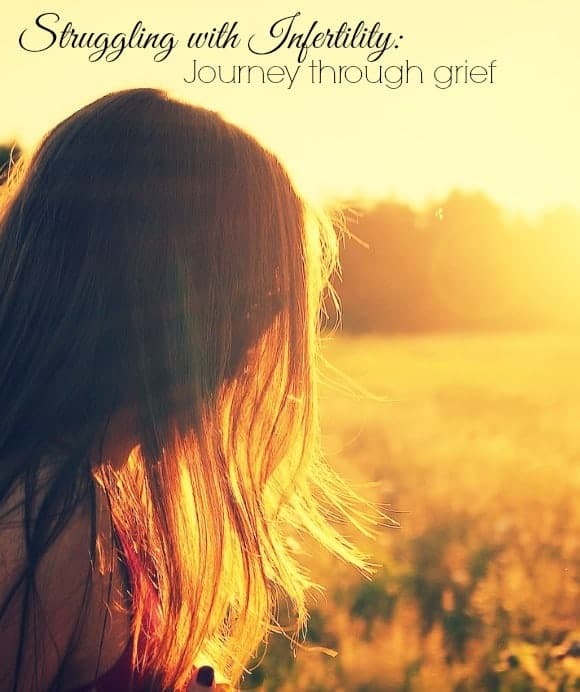 I’ve written about struggling with infertility for OurFamilyWorld for a few years now. In fact, when Olfa first brought me on as a writer, it was to be my specialty. I struggled with infertility for many years. Now I’m sharing my personal story in the hopes that it helps someone else get through the struggle. I started trying to conceive back in early 1999. With a family of “fertile Myrtles” I thought it would be a cake walk. I’d try one month, deliver nine months later. Bam! Easy-peasy. I even quit drinking (I was a major social drinker and was tired of getting sick all the time from it anyway) and started taking prenatal vitamins. I was almost 24 at the time and pretty healthy. Six months went by with no positive pregnancy test result. I saw a doctor and she did tests. Some of them hurt! She couldn’t find a single reason for why I was struggling with infertility. When my ex left the Navy, I lost the coverage to get more tests. My basic cruddy health insurance didn’t cover that sort of thing, so I started reading every single book and website on infertility that I could find. I learned a lot. I tried a lot. I failed a lot. During those six years, I become depressed to the point of contemplating suicide. I dealt with clinical depression as a teenager and it was nothing compared to the despair of an empty womb month after month. Imaging going through the five stages of grief every single month. See, you start every month with hope, assuming that it just HAS to be the time for you. Then when you start to feel those twinges telling you that your period is on the way, you go into denial. You start thinking maybe those cramps are implantation pains. The blood is just spotting. Next comes the anger. Why can’t you have a baby? Why is the universe, god or whatever you believe in doing this to you? Why is the girl down the street 16 and pregnant while you’re nearing your 30s and still with empty arms? Why? Why? Why? Then comes the bargaining. I begged the gods to let me have a baby. Just one. I’d be happy with just one. I didn’t need a big family. Just give me one little baby, one child to love, one being to raise. One. I swore I’d be happy. I’d never ask for anything again. Just one baby. Please? Bargaining soon fades into depression, and let me tell you, that depression is deep. I was ready to just end it all at time. To those who don’t understand what struggling with infertility is like, that may sound downright crazy. I would sit there looking at my friends’ baby’s pictures and cry. Just cry and cry and cry. Finally, you reach acceptance. You realize that the month has come and gone once again. You get your hopes up for the next month. You take different vitamins and herbs. You try different positions. You try, try, try. Then you go through the whole cycle again. Every month. Until you want to rip your own heart out just to stop feeling pain. After six years of trying, I got my hands on some Clomid. I tried it for one month and conceived my son. Why no one gave it to me before, I don’t know. They thought I didn’t need it because I was ovulating just fine. For whatever reason, they were wrong. At 7 months, I developed preeclampsia and delivered a preemie with a broken arm (he was full breech, the cord was wrapped around his arm, they snapped it getting him out). In the 8 years since my son was born, I never tried to have another baby. I also never tried to stop it from happening. I never got pregnant again. I kept my word to the universe. I never asked for another. My story ended with a child. Too many women don’t get that happy ending. They keep struggling with infertility until their bodies stop giving them chances to get pregnant. For them, I hope. While they’re grieving, I am continuing to hope. Every woman struggling with infertility needs someone to keep hope alive. It is a very difficult journey, sometimes lasts for years with no results. Thanks for sharing your story, very happy for you! Thank you! It was difficult, and I got a happy ending after years, but so many don’t. Thank you for sharing your story. 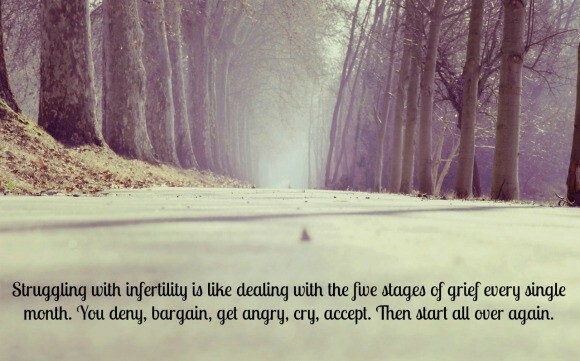 It gives us a glimpse into the reality of what it is like, most of us can not truly understand the pain of infertility. I am thankful you had your precious wee one, but am sorry again it was so traumatic. It must be sop difficult to have gone through this and I appreciate your comment about being surrounded by the fertile Myrtles in the family. Thank you for sharing such a personal story. Thank you, Jennifer! I hope that by sharing it, it helps someone else going through this. My family was created through adoption, which was a miracle. There are other methods for having a child. You are so right, Mitch. I’m glad you found another way to create your family! It was a route I was considering, but financially, I didn’t know if I could handle it. My aunt tried to adopt and she spent $20k. In the end, paperwork fell through, things got mishandled and she was out all that money and no baby. So I was terrified of the idea of adopting. My prayers go to all struggling for strength and peace. There isn’t an explanation as to why this happens. Sometimes doctors can treat conditions and help the process for others not. It is great that you are sharing this and I pray it helps give strength to someone struggling. I really hope that it does help someone else struggling. It was a tough journey. I was just one of those cases that they couldn’t figure out. Thank you! I’m so happy that I was able to have a happy ending! Thank you for your kind words and hugs! I am so grateful every day for my happy ending, and so sad for those who haven’t reached theirs yet. My #BeActiv Goal? Taking Family Fitness to New Levels!